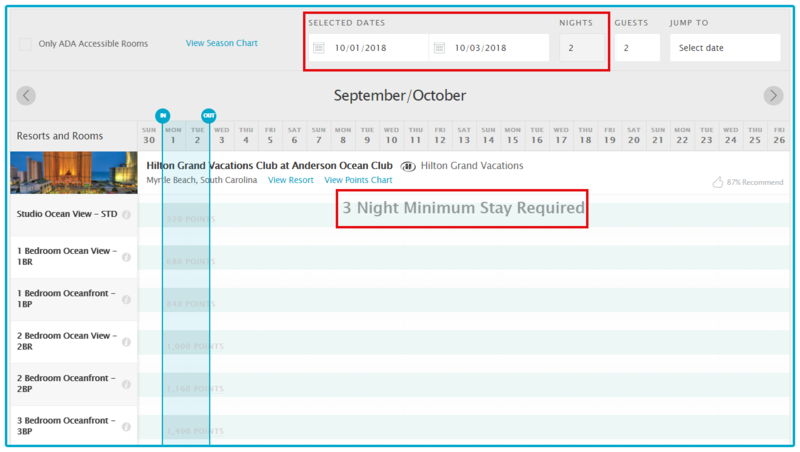 There are different ways to book your vacation. 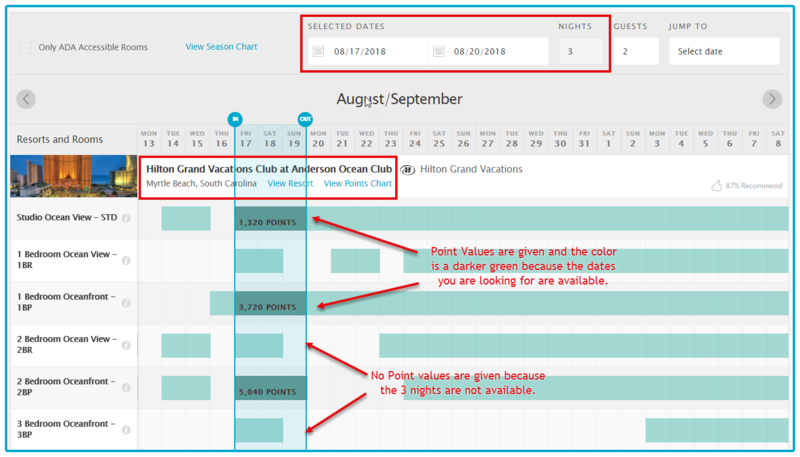 Learn how you can book your Club Reservations and Open Season Reservations. You can search by specific resort or region. You can add as much information as you like in order to narrow your search or give as little information as you want in order to see all of your options. 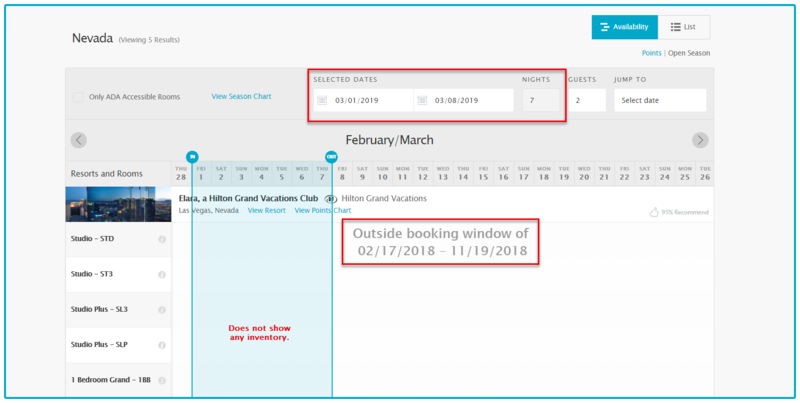 Availability view allows you to view dates and accommodations are available at the destination you've chosen. Search in order to use your Points for the reservation.  If it does not state the cost it means that all of your dates are not available. This resulted in a message stating that your reservation cannot yet be booked as it outside of the booking window. 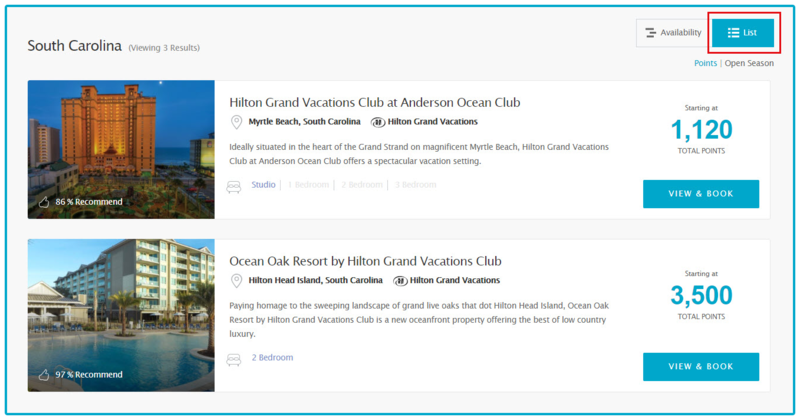 List view allows you to view short a overview of the resorts and the Points cost at the destinations you've chosen. 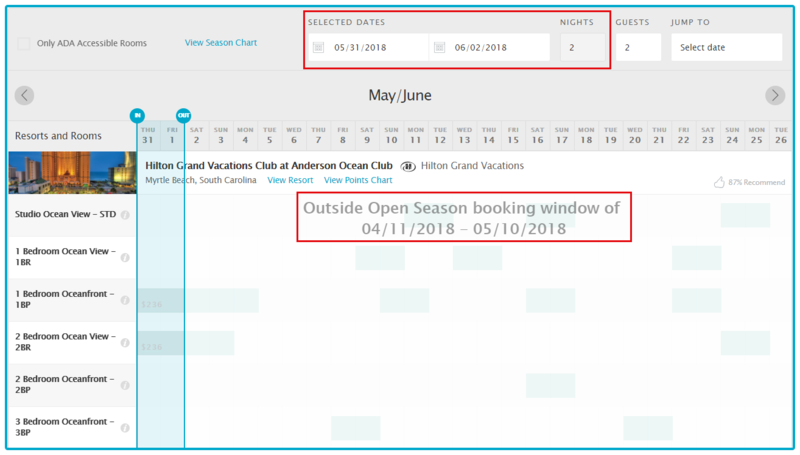 Click on the words "Open Season" to switch from Club Reservations to Open Season Rental Reservations. You can switch back to Club Reservations in the same way. 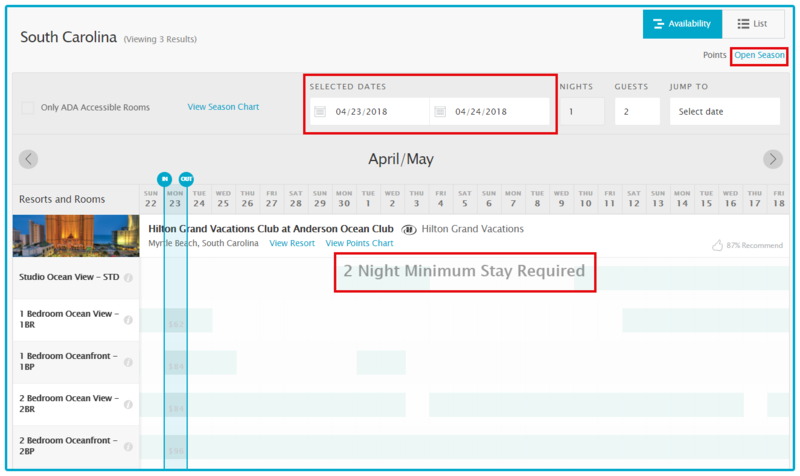 Select your desired travel dates to search for Open Season Rental Reservations. 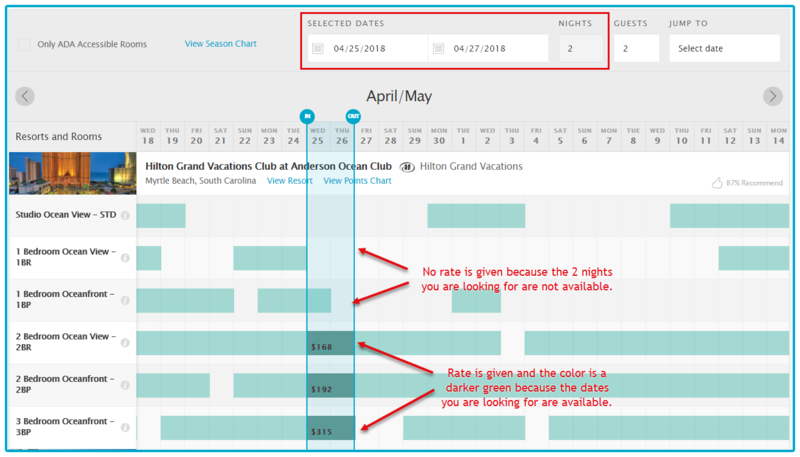 If the cost is not shown, it means that not all of your dates are available. This resulted in a message stating that your reservation cannot yet be booked as it is outside of the booking window. This resulted in a message stating that you have not selected the minimum number of nights to book a reservation using cash.